Alex leads the Healthy and Inclusive Communities: Physical Activity, Sport and Culture research program and the Physical Activity, Body Image and Mental Health research group within the Institute for Health and Sport (iHeS). She leads a multidisciplinary research group that engages in projects that aim to measure, understand, and promote exercise and physical activity to optimise mental wellbeing and prevent and treat mental illness. Her research group aims to maximise the potential of physical activity in achieving better clinical outcomes, improved functioning and wellbeing in those at risk of, or experiencing, mental health problems. Her major research interests are investigating the effectiveness of physical activity interventions in clinical settings, translating research findings into practice through workforce development and implementation studies and the mental health and wellbeing of elite athletes. Her current research also involves the evaluation of youth mental health services and improving outcome measurement. 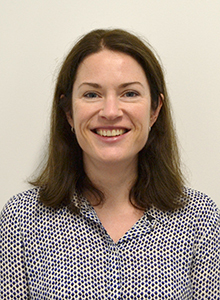 Alex is the Chief Investigator on a NHMRC project grant multi-site cluster-RCT, examining the effectiveness of integrating a brief physical activity behaviour change intervention into routine clinical care for young people with depression. Prior to her current IHES appointment in 2017, she was the Associate Director Knowledge Translation at Orygen, the National Centre of Excellence in Youth Mental Health, where she worked for the past 11 years. Alex is a clinical psychologist with extensive clinical experience in youth mental health services. Shrestha, N., Weisner, G., Grgic, J., Podnar, H., Bennie, J. A., Parker, A. G., Biddle, S. J. H., & Pedisic, Z. (2018). Effectiveness of interventions for reducing non-occupational sedentary behaviour in adults and older adults: A systematic review and meta-analysis. British Journal of Sports Medicine, published online(10.1136/bjsports-2017-098270). Rice, S. M., Parker, A. G., Rosenbaum, S., Bailey, A. P., Mawren, D., & Purcell, R. (2018). A systematic review of sports-related concussion and mental health outcomes in elite athletes. Sports Medicine, 48(2), 447-465. doi:10.1007/s40279-017-0810-3. Rice, S. M., Gleeson, J., Leicester, S., Bendall, S., D’Alfonso, S., Gilbertson, T., Killackey, E., Parker, A. G., Lederman, R., Wadley, G., Santesteban-Echarri, O., Pryor, I., Mawren, D., Ratheesh, A., & Alvarez-Jiminez, M. (2018). Implementation of the enhanced moderated online social therapy (MOST+) model within a national youth e-mental health service (eheadspace): A single group pilot study for help-seeking young people (study protocol). Journal of Medical Internet Research, 22(7), e48. Rickwood, D. J., Nicholas, A., Mazzer, K., Telford, N., Parker, A. G., Tanti, C., & Simmons, M. B. (2015). Satisfaction with youth mental health services: further scale development and findings from headspace – Australia’s National Youth Mental Health Foundation. Early Intervention in Psychiatry, ePub ahead of print, doi:10.1111/eip.12248. Hetrick, S. E., Bailey, A. P., Rice, S. M., Simmons, M. B., McKenzie, J., Montague, A. E., & Parker, A. G. (2015). A qualitative analysis of the descriptions of the nature of CBT tested in clinical trials for depression in young people. Journal of Depression and Anxiety, 4(1), 1-8. Gillies, D., Buykx, P., Parker, A. G., & Hetrick, S. E. (2015). Consultation liaison in primary care for people with mental disorders. Cochrane Database of Systematic Reviews, Art. No. : CD007193. (Issue 9). doi:DOI: 10.1002/14651858. Bailey, A., Parker, A. G., Colautti, L. A., Hart, L. M., Liu, P., & Hetrick, S. E. (2014). Mapping the evidence for the prevention and treatment of eating disorders in young people. Journal of Eating Disorders, 2, 5. Morgan, A., Parker, A. G., Alvarez-Jimenez, M., & Jorm, A. (2013). Exercise and Mental Health: An Exercise & Sports Science Australia Commissioned Review. Journal of Exercise Physiology Online, 16(4), 64-73. Hetrick, S. E., Parker, A. G., Bailey, A., Cahill, S., Rice, S., Garvin, T., Phelan, M., & Davey, C. (2015). Cognitive-behavioural therapy for depression in young people: A modular treatment manual. Melbourne: Orygen, The National Centre of Excellence in Youth Mental Health. Parker, A. G., & Bailey, A. P. (in press). Exercise for adolescents and young people with mental illness. In B. Stubbs & S. Rosenbaum (Eds. ), The Clinicians Guide to Physical Activity for People with Mental Illness: Evidence-Based Exercise Prescription. San Diego, USA: Elsevier. Purcell, R., Parker, A. G., Goldstone, S., & McGorry, P. D. (2012). Youth mental health: A new stream of mental health care for adolescents and emerging adults. In G. Meadows, B. Singh, & M. Grigg (Eds. ), Mental health in Australia: Collaborative community practice (3rd ed., pp. 603-614). Melbourne, Australia: Oxford University Press. Parker, A. G. (2018). Physical activity and mental health: Clinical considerations. Exercise and Sports Science Australia (ESSA), Research to Practice, Brisbane (invited presentation). Parker, A. G. (2018). Physical activity for the prevention and treatment of depression in young people. headspace Forum, Melbourne (keynote presentation). Parker, A. G. (2018). Physical activity for treating depression in young people: Barriers and facilitators to implementation. World Psychiatric Association, Innovations in Psychiatry, Melbourne. Parker, A. G., Hetrick, S. E., & Bailey, A. P. (2017). Physical activity interventions for young people with depression. 4th International Conference on Youth Mental Health, Dublin, Ireland. Parker, A. G. (2017). Mental health issues in Australian young people. ACHPER Conference (Health, Outdoor, Sport and Physical Education), Melbourne. Parker, A. G. (2016). Pilot Testing of a Manualised Cognitive Behavioral Therapy (CBT) Intervention for Young People Diagnosed with Major Depressive Disorder. 8th World Congress of Behavioural and Cognitive Therapies, Melbourne. Parker, A. G. & Purcell, R. (2015). Physical activity and depression in young people: Overview of the evidence and applying it in practice. Invited presentation at the International Association for Youth Mental Health, 3rd International Conference, Montreal, Canada. Parker, A. G. (2014). Problem solving therapy and physical activity interventions for young people with depression and anxiety: Results from a randomised controlled trial. International Society of Affective Disorders Conference, 28-30 April, Berlin. Parker, A. G. (2013). Skill-building psychological and physical activity interventions for young people with depression and anxiety: Results from a randomised controlled trial. Invited presentation at the 2nd International Conference on Youth Mental Health, Brighton, UK. Parker, A. G. (2013). Behavioural and problem solving interventions for young people with high prevalence disorders: Results from a randomised controlled trial. Australasian Society for Psychiatric Researchers Conference, Melbourne. Professor Parker has been a leader and contributor to academic and research consultancy projects. In the last 5 years, she has attracted 9 grants, totalling $6.9M in competitive research funding (over $2M as principal investigator) and $223,000 in philanthropic/non-competitive funding. NHMRC project and partnership grants total $6.36M as Chief Investigator A (CIA) or Chief Investigator. This includes $1.61 million as CIA on a National Health and Medical Research Council (NHMRC) project grant for a large multi-site trial examining the integration of physical activity into standard care for young people with depression and $1.71 million as CII on a NHMRC project grant examining a novel mindfulness-based cognitive online social therapy to prevent depression relapse in young people. IEPA Early Intervention in Youth Mental Health.